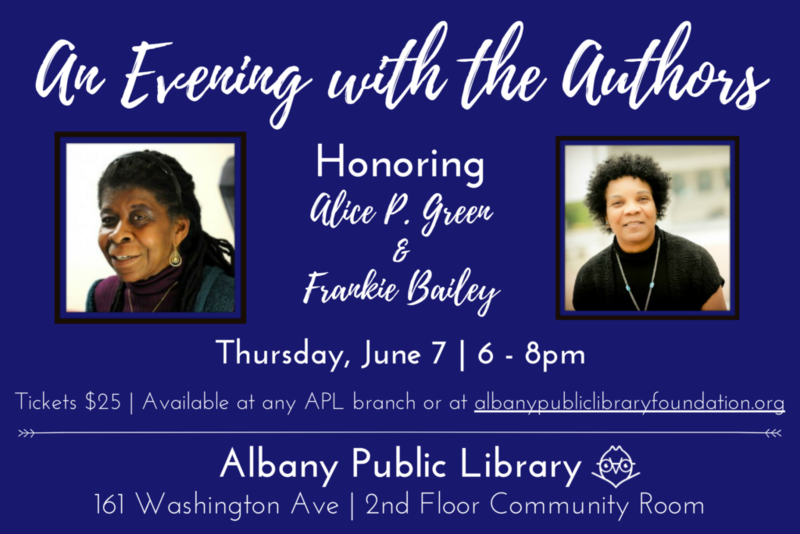 An Evening with the Authors is the first of several events this summer celebrating our 2018 Literary Legends — Dr. Alice P. Green and Dr. Frankie Bailey. A wine-and-dessert reception begins at 6:00pm, followed by a special toast at 6:30pm. Tea and coffee will be available as well. Following the toast, our Literary Legends will hold court until 7:30pm, talking about how they met and began working together, their collaborative work and their individual work. There will be time for audience questions. Tickets are available online and at all APL branches. An Evening with the Authors is sponsored by M&T Bank.